While certainly not as edgy as her “Cut Piece” or other performance and film works of hers, the book and the many instruction pieces she’s written since then remains a model of a kind of performance writing, in the sense that many of the texts are instructions for performances (even if many seem impossible outside of the imagination). 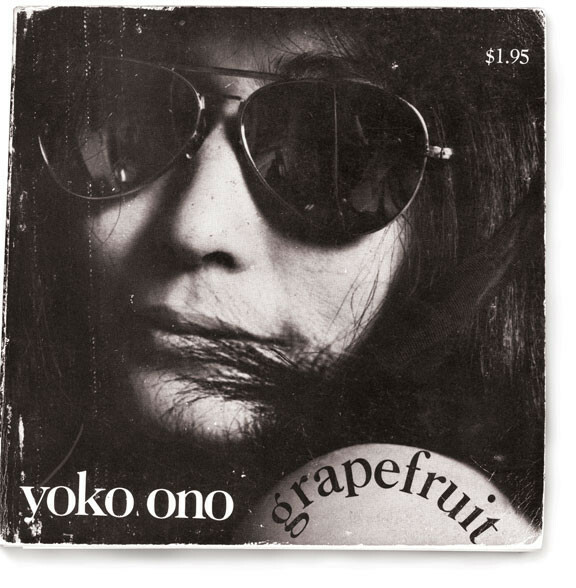 Of course, Ono’s work came out of her off and on relationship to Fluxus (as well as the overlapping Happenings, avant-garde music, conceptual and performance art movements), and it’s the written works of Fluxus I’d like to explore in this post, specifically to query the relationship between writing and performance, script/score and enactment. In many ways, most Fluxus ‘scores’ (for music or other kinds of performance and/or composition) are fairly legible as scripts for performance/enactment; i.e. the text comes first and the performance after (if at all). Certainly, one of the interventions (and charms) of Fluxus scores were the openness of the scores, where interpretation and chance were much more important than following the letter of the law, as one might in traditional sheet music, for example. 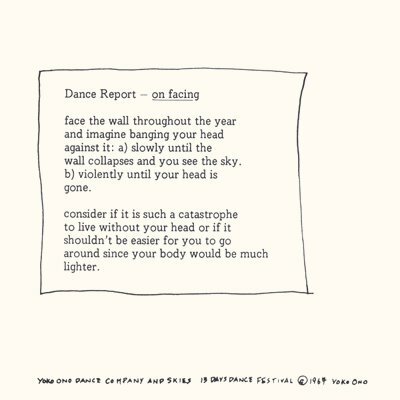 As such, reading Fluxus scores as performance texts allows us to see how writing can activate art/life works that writing cannot contain or control. Interestingly, though, (excuse the gross generalization, but this is a blog, not a dissertation) while Fluxus scores continue to be read, studied, and collected (click here for a free PDF of one such anthology), there is not as large an archive of performance documentation, performance presumably being the ‘point’ of such scores. Certainly there are photos and recordings and limited-edition book-art objects, but just as often as not the scores were never performed or enacted, and in many cases were not intended to be. What I find compelling about the work is thus how scores can become literary and ‘stand on their own’ as works of art. Certainly this happens in other genres; one can purchase plays and filmscripts and sheet music, etc., but usually those are still understood to be in relation to an actual (or realistically potential) performance and less often of interest ‘only’ as text (except to fellow practitioners, who might geek out on a transcribed Anthony Hill improvisation or the stage directions of Tadeuz Kantor for insight/fuel/etc.). 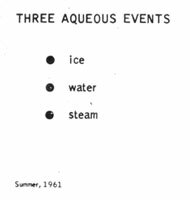 Still, Fluxus scores are models for other poetic traditions, from aleatory and procedural poetry to Oulipo and newer forms of conceptual writing, where the resulting work/'product' is not a commodified art object, but literature. At the same time, while all Fluxus scores could be said to have literary merit on their own, this does not mean that they all make for ‘good’ literature. I’m most interested in those works that somehow contain (if that’s the word) the performance in the text itself — not as a document or as performative utterance per se, but in the way that poetic writing can make something happen in the world, even if that ‘in the world’ is only in the reader’s brief imagining of potential enactments. I’m also interested in how the ‘magic’ of a Flux work does or does not ‘live on’ once the works become museumified. 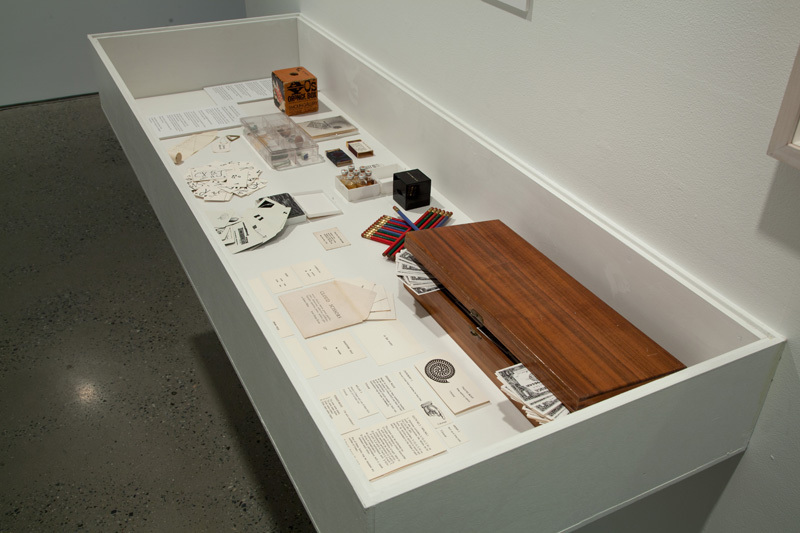 After all, just as many Fluxus were invested in finding new modes of art/life beyond the calcified forms of musical composition and choreographic instruction, the Fluxus object became the way into the museum and the art market. “Official” art history (both in the museum as well as the textbooks) requires documentation and objects in order to categorize and canonize a movement. So — do we carefully track differences between performers and performances, or between poets and poems, when it comes to practices such as procedural, aleatory, process and constraint-based writing? Compared to many Fluxus scores, descriptions of procedural and aleatory poems often tend towards the explanatory, the assumption being that the ‘resulting’ poem is where the literary lives (even as in avant-garde traditions proceduralism and chance operations can be zones of contingency and improvisation, and not always non-egoistic or mechanical). Thus one often reads a description of a compositional process that might sound compelling to fellow practitioners (as new ways make poems), and then one reads the poem that comes out of the procedure. I’m sure I’m not the only one who has found that many times the resulting poem is not nearly as interesting as the process, and yet at the same time I’m rarely inspired to then use the procedure myself (in part because it feels like the experiment has been executed? it’s ‘not mine’? I’m afraid the ‘differences will be tracked carefully’?) 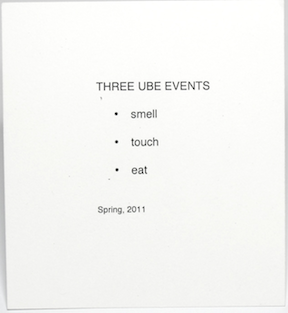 Certainly there are writers whose descriptions of their procedures are compelling compositions in and of themselves, ‘regardless’ of what comes out of them — I’m thinking of poets and performers such as Caroline Bergvall, Steve Benson, cris cheek, CA Conrad’s (Soma)tic exercises, just to name a few — but somehow Fluxus-inspired ‘scores’ at their best feel more like poems (as well as performance texts) than most poets’ descriptions of compositional procedures/instructions (even as the latter can be compelling and inspiring in different ways). 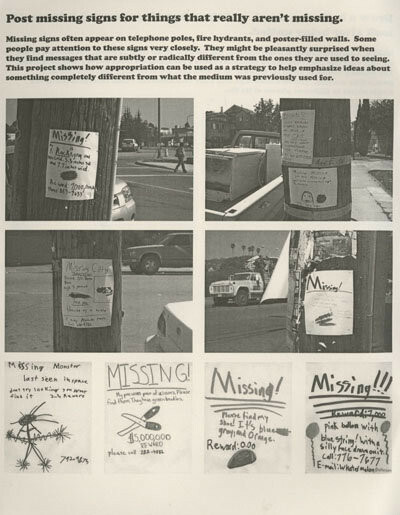 As with many avant-garde movements that press against the art/life divide, fluxus and similar performance scores can profoundly change the way we understand our own relations to the kinds of banal instructions that make up our daily negotiations of text and behavior. Whether or not we might think of driving directions or to-do lists or instructions for putting together an Ikea bookshelf as performance scores, there are ways in which we do perform tasks, shape our bodies, work within and against constraints, in response to written ‘scores’ that we often do not think of as aesthetic in nature (much less in the spirit of Fluxus). Of course, we generally don’t think of such tasks as art/ful unless we are ‘breaking the rules’ (think the derivé vs. mapquest), and many of our daily encounters with instructions are instrumentalized and governed by Taylorist notions of efficiency, purpose, and productivity (in Marxist terms, towards the production of value; for Foucault, towards the production of disciplined subjects). “Following the letter of the law,” after all, is usually an exercise in privatized actuarialism and not something we’d call performance writing (unless taken to some kind of parodic extreme, like when I bring a child to carry on the escalator at the mall in order to adhere to the ‘carry children on escalator’ sign). alongside a 35 page 'recipe' addressing the genetic makeup of various strains of red lettuce. "Obtain free condiment packages from restaurants and use them as art supplies." 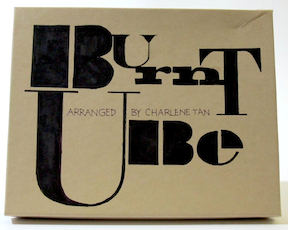 Finally, Charlene Tan transformed George Brecht's Water Yam into "Burnt Ube," a box of event scores celebrating the Filipino staple Ube (Tagalog for "water yam"), including a recipe for her Filipina-American Burnt Ube dessert. 2. Sorry, couldn't resist. Still, mmm, pudding.